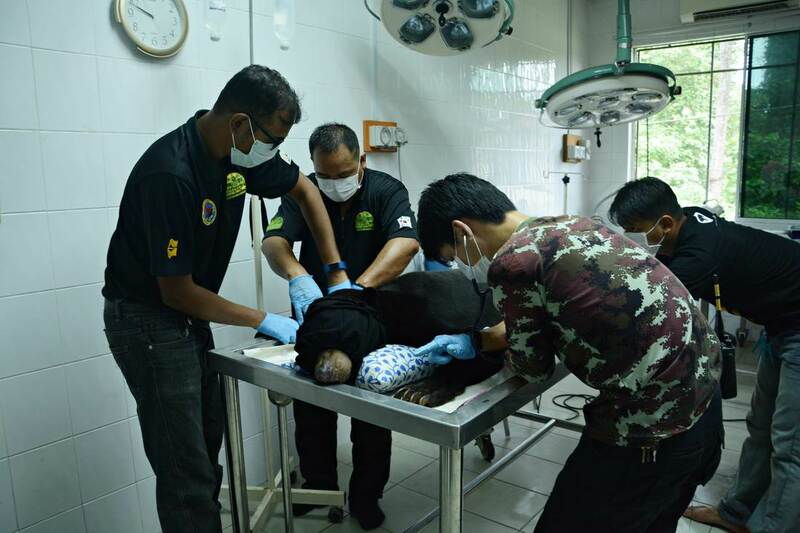 All bears that arrive at the centre are given a thorough health check by our vets. Individual characteristics are recorded. To prevent risk of disease to other bears, a new arrival will be kept separately for the 30 days until test results are known. 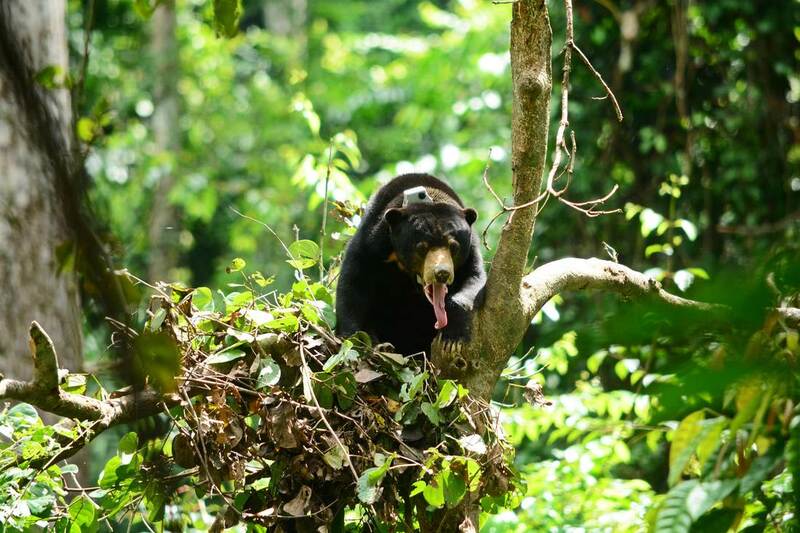 Wild sun bears are mainly solitary, but to encourage the positive development of the bear behaviour we introduce them to each other (with the same age). This is done slowly and groups are monitored. Our staff and volunteers work to encourage typical bear behaviour that equips bears for forest life. This includes activities such as tree climbing, nest building, and foraging. To encourage bear-like behaviour and increase well-being, enrichments are used. This can involve food types, structures, smells and other activities. 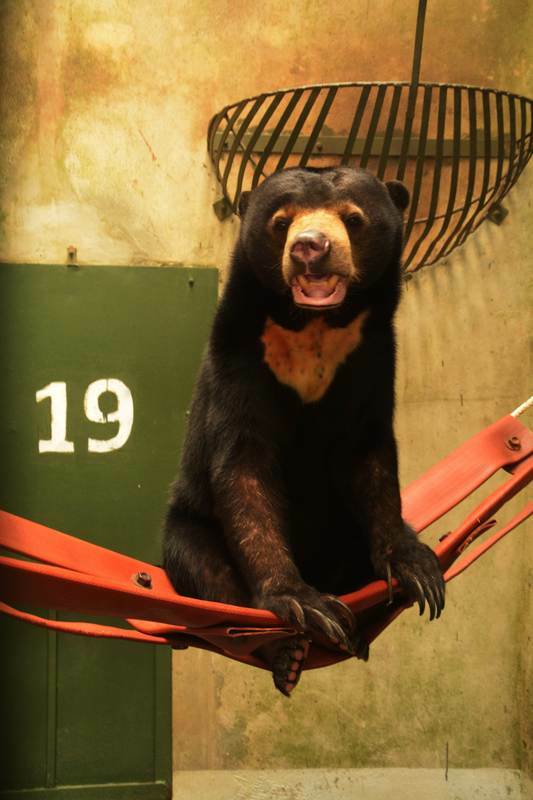 We aim to provide a humane comfortable, and stimulating environment for captive sun bears over both the short- and long-term. Sadly, some bears are too traumatised to be released into the wild. For these bears BSBCC provides a permanent home. We identify potential release candidates for re-entry into the wild. We work hard to encourage their independence and monitor their progress for this pivotal moment in their lives. Sun bear is digging the dead wood. We constantly develop enrichment activities to improve welfare and skills. 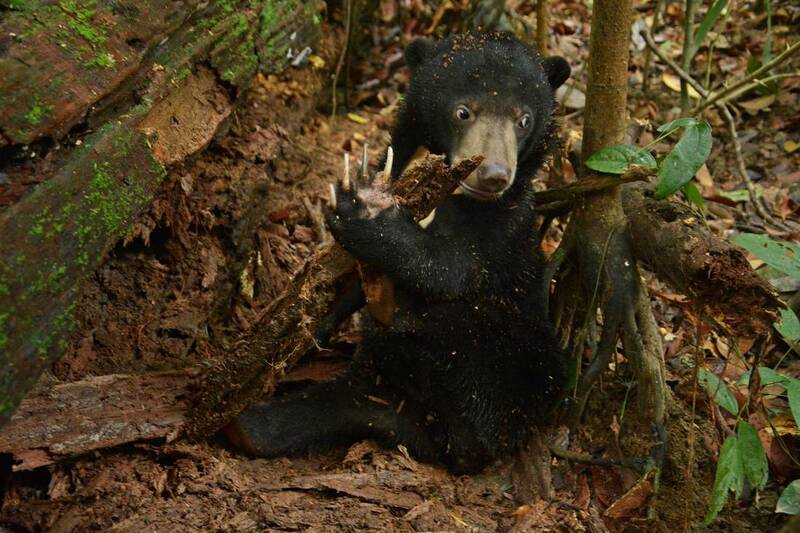 We provide space for sun bears to act on their natural instincts, such as nest building.